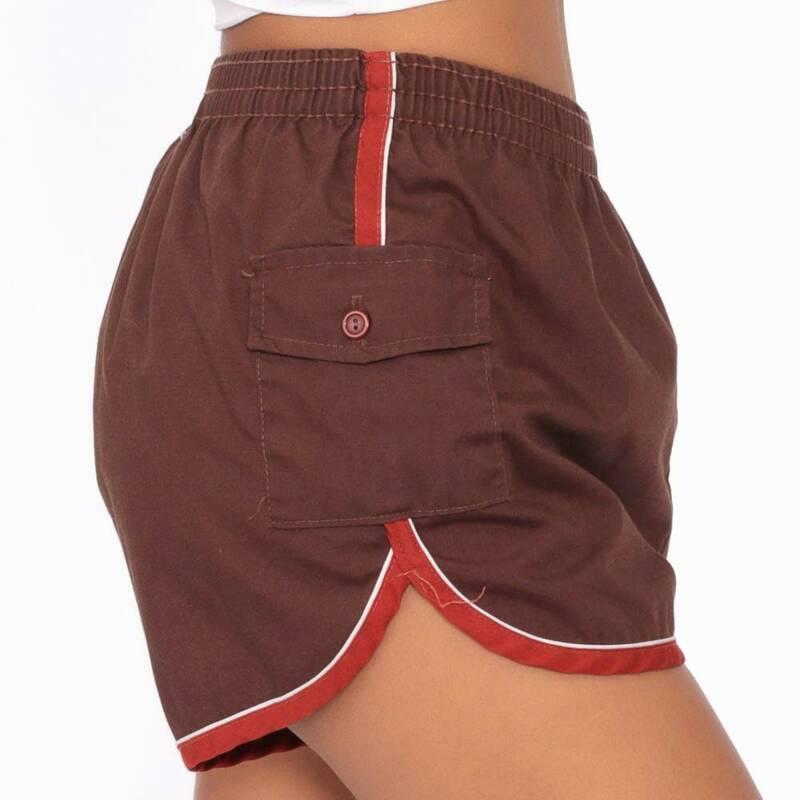 Vintage 70s 80s running shorts in brown with dark orange piping down the sides. High elastic waist. Has side pocket. Originally for boys. Condition: Very good vintage. Lining has a few large fabric runs. Material: Cotton / polyester blend with a Nylon swim lining.